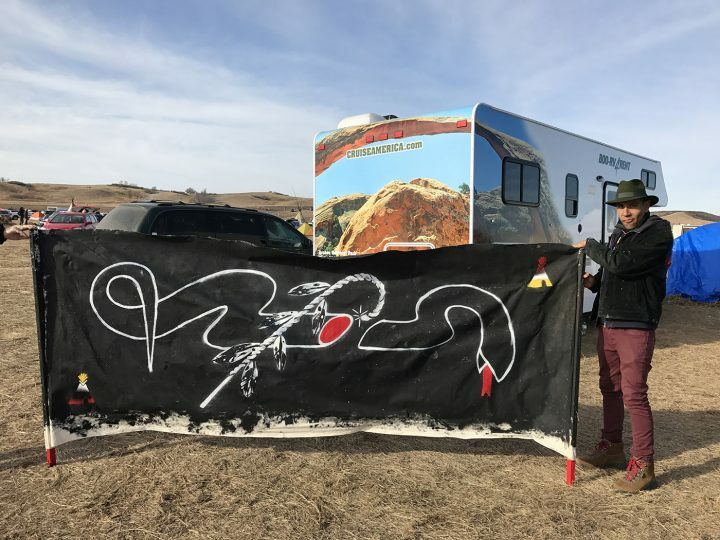 Dozens of artists have converged at Standing Rock, and we interviewed many of them about what’s going on in the fight to stop the Dakota Access Pipeline and how they are getting involved. Last weekend was Thanksgiving in the United States, and I traveled to the Oceti Sakowin Camp at the Standing Rock Reservation in North Dakota. Thousands of protesters — who prefer to be called water protectors — and their allies are trying to stop the multibillion-dollar Dakota Access Pipeline, which is being pushed by the government and major oil companies. The pipeline is set to tunnel under the Missouri River, which is the lifeblood of this scenic region of rolling hills. 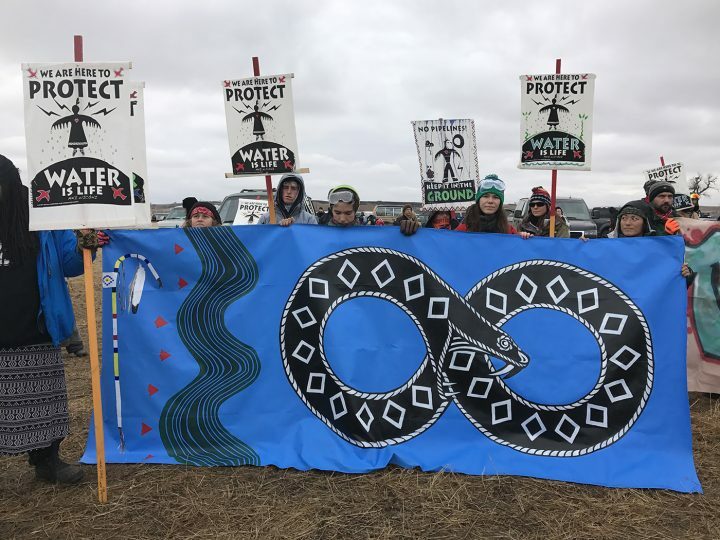 The pipeline was originally planned to cross the Missouri north of Bismarck, North Dakota’s capital, but the city, which is majority white and certainly more affluent than Standing Rock, protested for fear that the pipeline would contaminate their water supply. The government approved the decision to relocate the pipeline crossing downriver, by Standing Rock. The water protectors worry that if — or rather when, as they told me — the pipeline leaks, it will destroy the area’s delicate ecosystem. This looming catastrophe would impact some of the largest Indian Reservations in the country. In the Oceti Sakowin Camp, the largest of the three camps at Standing Rock, there’s a prominent art tent area. Dozens of artists and volunteers are silkscreening and producing work. Among those artists is Cannupa Hanska Luger, who grew up in Standing Rock. I spoke to him and many other artists who have traveled to the site to stand with or join the water protectors. 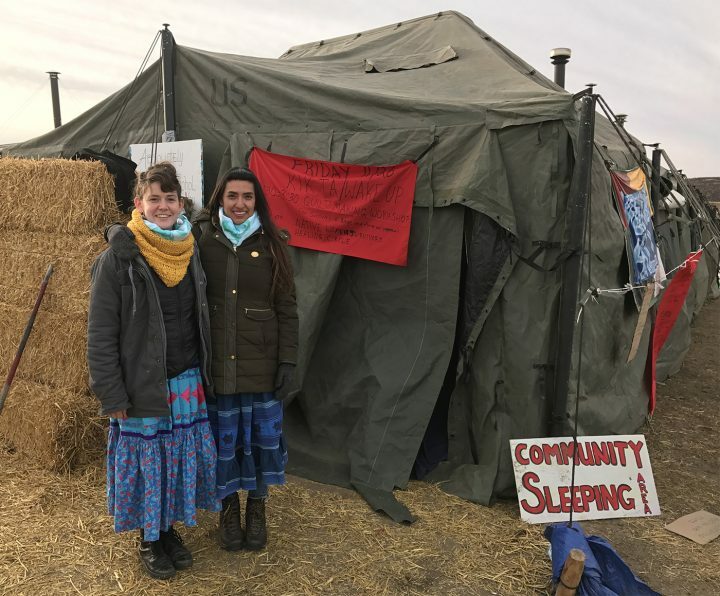 I also talked to two Native American artists, Rebecca Nagle and Graci Horne, who have come to Standing Rock to create a Healing Tent and to work on their Monument Quilt project, which addresses sexual violence. 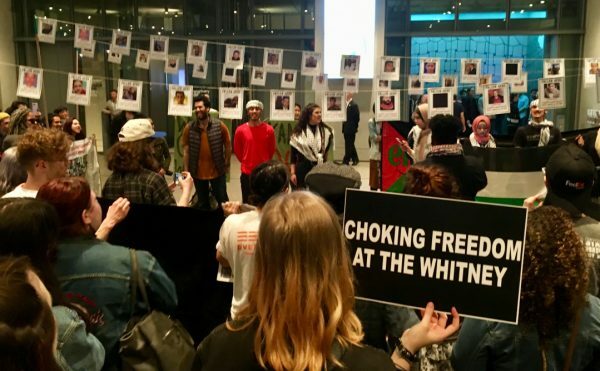 The latter is a project fashioned after the well-known AIDS Memorial Quilt. The pair have also organized women-only and Native women-only healing circles for survivors. 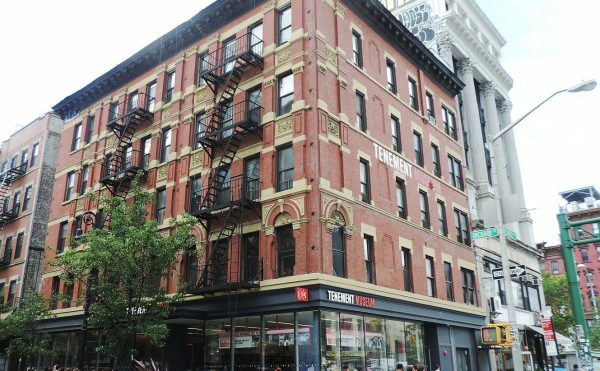 They talked to me about the prevalence of sexual violence, assault, and stalking against Native American women, particularly in North Dakota, where many so-called man camps house temporary oil workers. This podcast is the first in a series by Hyperallergic on the situation at Standing Rock. 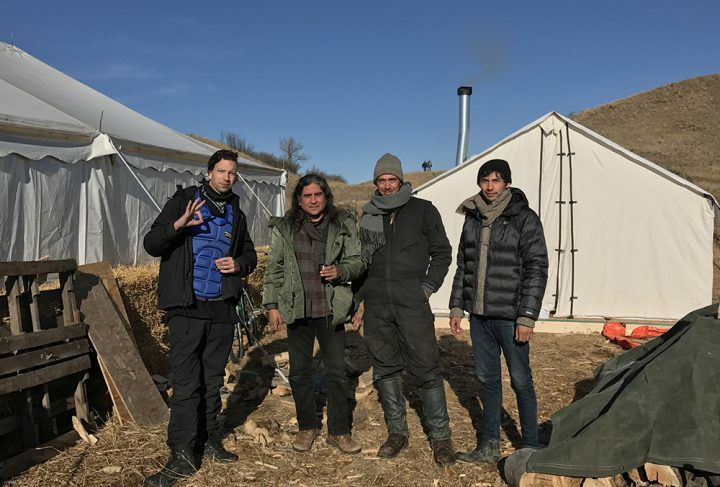 In the coming days, we will also try something new and release two raw interviews from Standing Rock (one full interview with Luger and three of his artist colleagues, and the other is a full interview with Nagle and Horne). 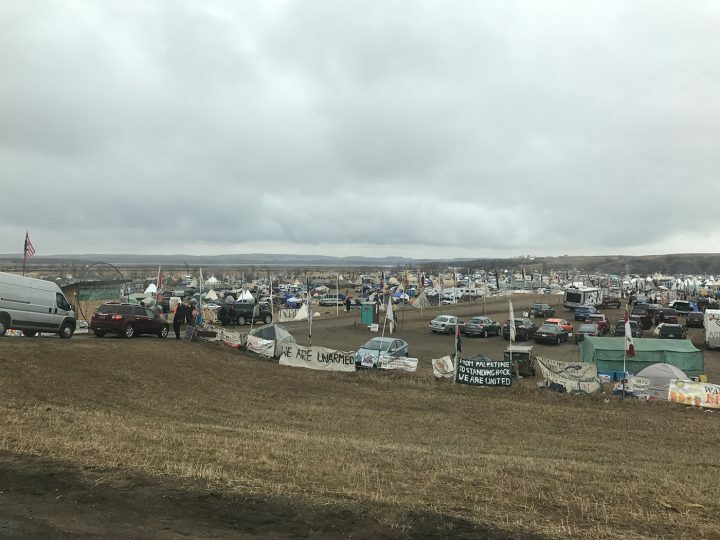 Since then there have been numerous other reports, and yesterday North Dakota Governor Jack Dalrymple ordered the expulsion of thousands of Native American and environmental activists camped on federal property near the oil pipeline project. 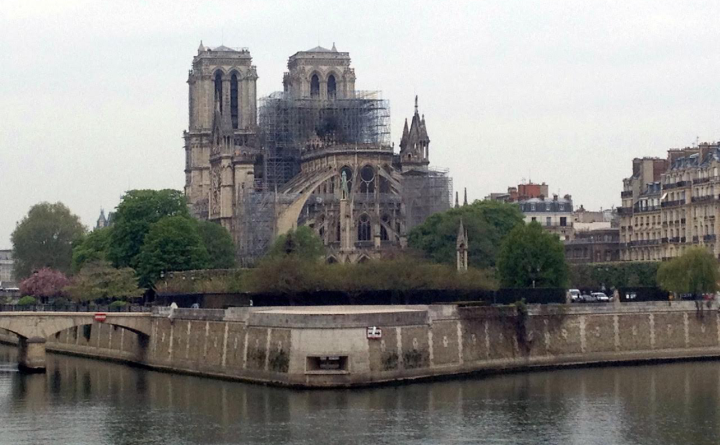 It’s quite uncertain what will come next, but you can be assured we will update you as we learn more.